Home » How To's » Which Way To Go Gas Or Glow? Which Way To Go Gas Or Glow? 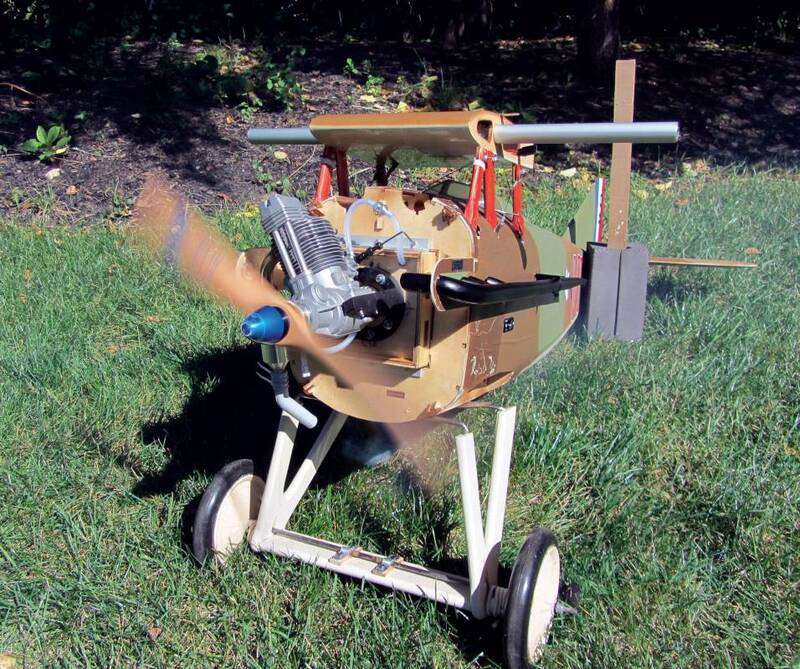 With seemingly hordes of electric powered model aircraft filling the skies there are many who feel an airplane is only truly an airplane if it is powered by an internal combustion (IC) engine. Indeed the sound of a well-tuned four stroke echoing through the skies on a clear fall day has an allure all its own. Perhaps this stems from the fact that real aircraft are powered by IC engines or that we all grew up with them when there simply was nothing else. Today the choices for IC have expanded with the advent of gas-powered engines. Their cost-ef- fective nature, cleaner combustion and reliability have many dumping their glow engines for gas. Yet there are many who still prefer a glow engine even in spite of the efficiency of gas engines. 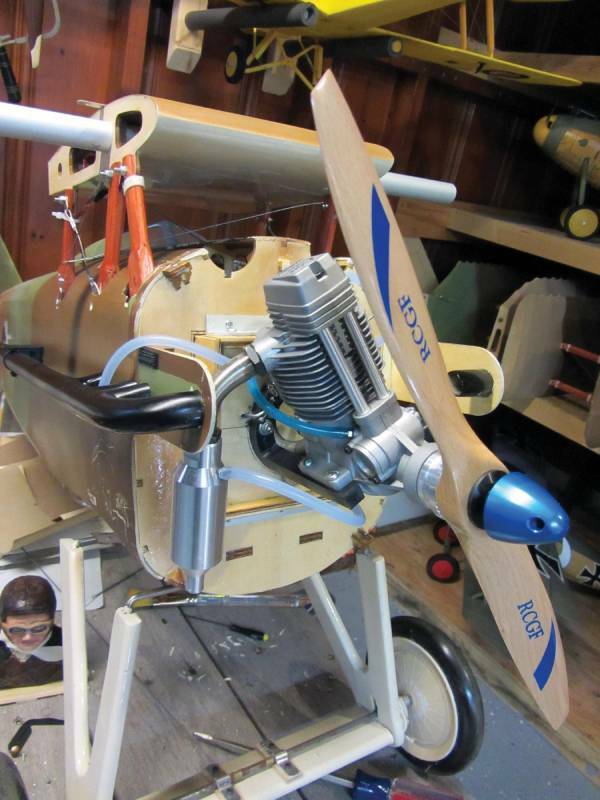 The smell of burnt castor oil and the memories of the early days of model aviation have resulted in a loyal and dedicated group of glow devotees. I build and fly almost exclusively WWI bipes so I too am fond of anything that uses castor oil! Each type of engine has a place in this hobby and this article will endeavor to overview each type of engines pros and cons and hopefully provide some perspective as to the best application for each. Many RC enthusiasts started with the ubiquitous Cox glow engines. 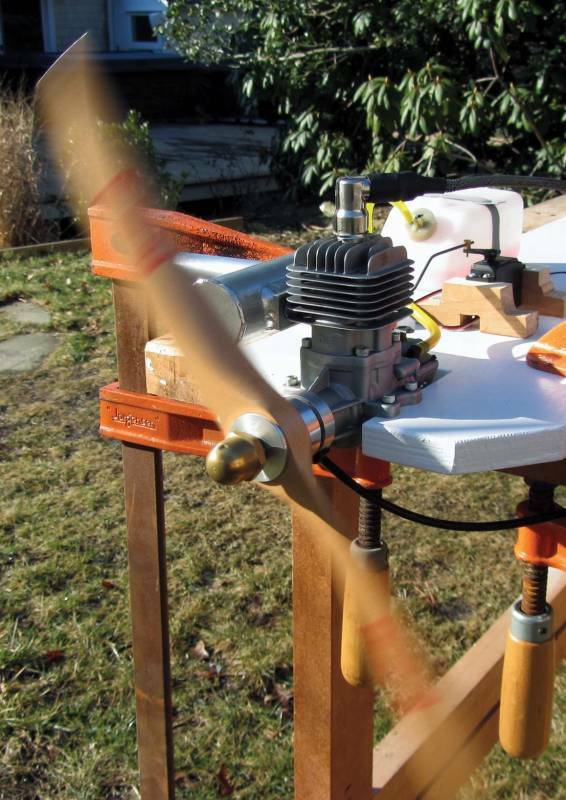 For those seasoned RC pilots, memories of the Cox glow engine are inextricably linked with memories of childhood—seeing the Cox logo on a box was synonymous with fun. So began our baptism into the world of glow engines with their finicky starting methods (just hook the spring on the prop and away you go—if only!) and who could forget the noise or the sizzle of glow fuel as you primed the exhaust port! For many folks, “giving up the glow” is like abandoning memories of younger years. Today, glow engines bear little resemblance to their fickle and finicky ancestors. They have improved over the years in reliability, efficiency and power. They are simple to use and tuning them for optimal performance can be an enjoyable aspect of this engine. They require no ignition harness and sound great. There is nothing like the smell of burnt castor oil! For Scale enthusiasts seeking the ultimate blend of power, authentic sound and looks–currently radial four stroke glow engines (and inline engines) offer a new and very realistic option for large scale (and large pocketbook!) aircraft. Almost every manufacturer who offers standard four and two-stroke glow engines also offers a radial or multiple cylinder engine—such is their popularity. Another interesting aspect of this type of engine is collecting. 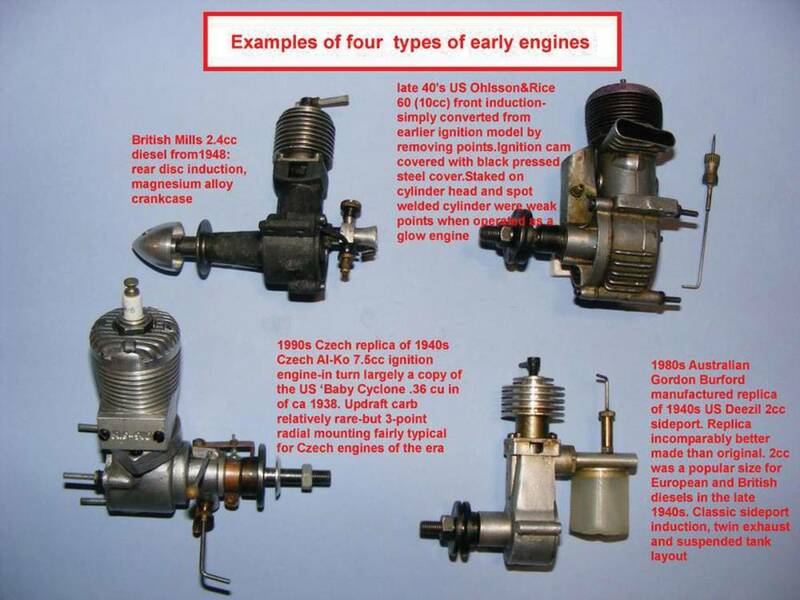 As glow engines have changed over time, many enjoy collecting and running older engines. You can often find some real deals on eBay or RC groups on older, collectible engines. $20/gallon where is the savings of gas over glow fuel? Well the answer is that gasoline engines burn less fuel and offer more power—thus you get more out of your fuel dollar and you are able to increase the power to weight value. Another advantage that will keep our environment happy is that gasoline engines burn cleaner than glow. This is true as there is very little exhaust and residue on airframes—compare this with the seemingly huge clouds of smoke produced by some glow engines (especially when running rich) and the epic quantities of glow residue that you must dutifully clean off your airplane. Many folks have acquired quite a stockpile of glow engines, so they argue, “I’ve got too much invested in my glow engines to change to gas.” Don’t worry, now you can convert your larger glow engines (.91 and up) to gas engines using a Hall sensor and ignition harness. I’ve seen various YouTube clips of folks that have modified existing glow engines to use gas. One person mated a Walbro carb to a .52 glow engine and retained the glow plug. Another used a cheap four-stroke glow engine and simply added a gas wiring harness and sensor. You can purchase glow to gas conversion kits at www.justengines.co.uk if you’d like to make the switch for yourself. Now, if you’re in love with the throaty sound of a four-stroke glow engine, you may think gas engines sound like a weed whacker—which they do. Although there are four-stroke gas engines on the market if you can afford them! I used a 20 cc gas (DLE) and glow (O.S.) engine for comparison. Outwardly they both appear to be of similar size and construction (fig). The major difference between gas and glow engines is in their ignition system. Glow engines fire using glow plugs—a heated (glowing) coil that ignites the fuel mixture— the heat from the combustion keeping the glow element hot thus firing the engine as long as there is fuel. 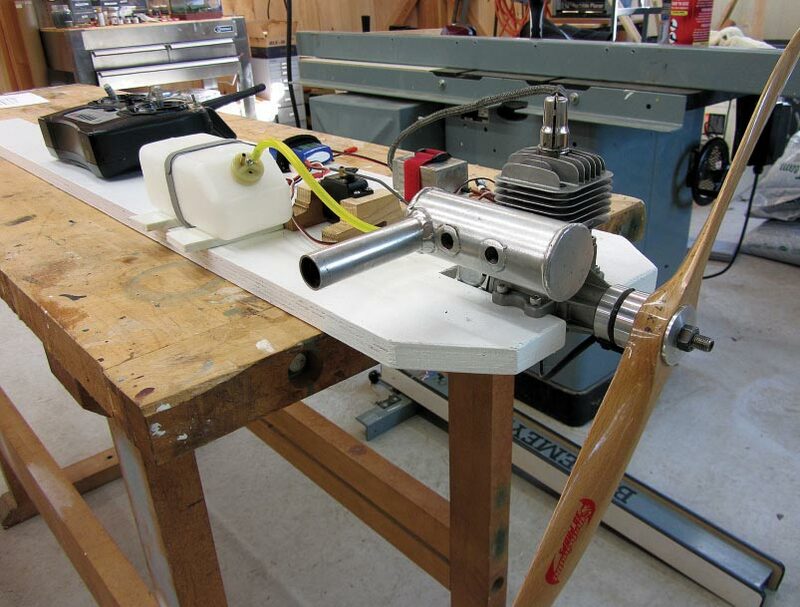 Gas engines fire using an ignition harness/sparkplug that works when the magnet on the propeller boss passes a Hall sensor that is mounted to the crankcase, sending a signal to the ignition module which in turn sends a charge to the sparkplug. 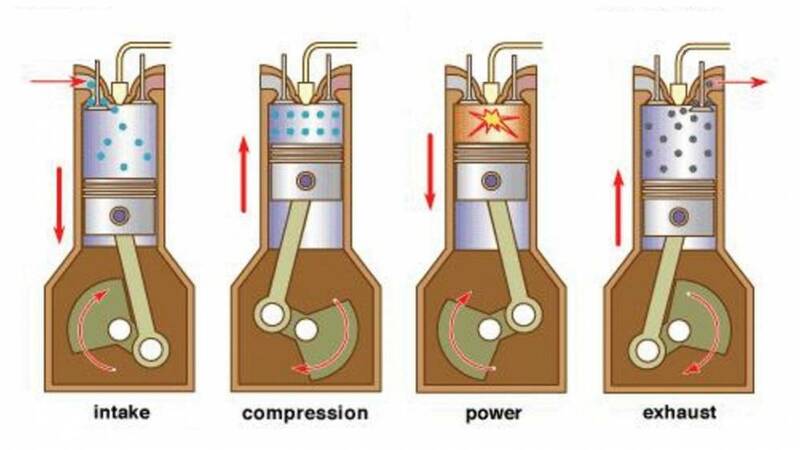 Gas engines are a little more complex in that they require a battery to fire the engine whereas a glow engine does not (fig). So you are a glow enthusiast who has just purchased a 1/4-scale aircraft—what to do? The specs say it’ll take a 150-180 four stroke or a 26-30cc gas engine. Perhaps it’s time to broaden your horizons and make friends with a gas engine! If you are flying a plane that takes a 120 four stroke or less; the cost difference in fuel is probably not a big deal. Bigger than this you could be hunting for the best price on glow fuel and buying it by the case to save money. I did. If you noticed, I mentioned gasoline engines burn less fuel and offer more power. 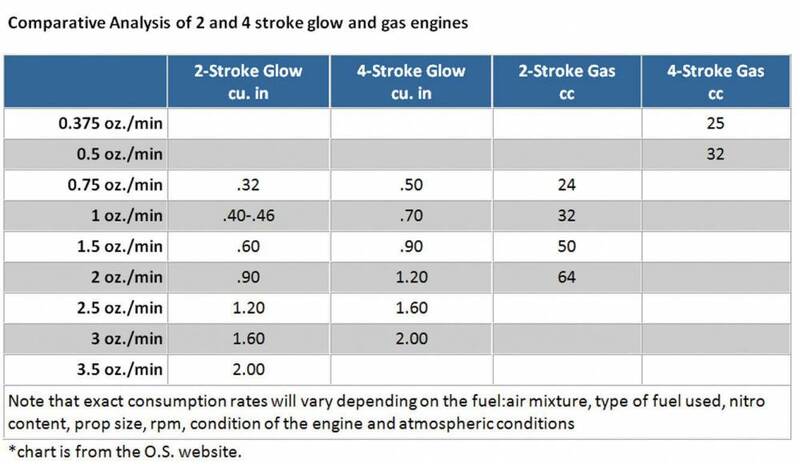 Interestingly smaller gas engines (marketed as glow engine replacements)–while having be er fuel efficiency than glow — they also have less power than their glow equivalent. fuel tubing for your fuel lines and a gas-safe stopper for your fuel tank, as gas will erode regular nitro fuel tubing. Remember, gasoline is far more flammable than nitro so use good safety practices for storing and using this fuel. Also, be sure your club has an up to date fire extinguisher on site; if it doesn’t bring your own! Many websites claim to offer glow and gas options, however, seemingly demand has exceeded supply! Many sites simply say “out of stock” or “backordered” for what seems like forever. One company that has both good customer service and a ready supply of engines is Redwing RC. A friend at my flying club recommended them based on his experience so I gave it a shot. They respond to inquiries usually the same day. Their friendly and helpful staff (fig) facilitated a loaner gas engine for this article—for which I am very grateful. They offer a complete line of DLE and other gas engines and guess what? They have them in stock at a great price! Both gas and glow engines are here to stay. Whether you prefer glow due to the memories it evokes, the sound or smell of a nitro engine or because you have a large inventory of these engines, it will always have a very special place in this hobby. Gas engines have come a long way from the early days of retrofitted utility engines. Now they offer a great power-to-weight ratio, are economical on fuel and produce very little exhaust (and very little residue on your plane!). They are a little finicky to set up, but once you’ve got the installation out of the way, sit back and enjoy all the perks!